London Bus Museum currently has no paid employees and nearly all the work is done by volunteers drawn from the ranks of our Members. We hope that the following information about volunteering will interest you and, if you are not yet a Member, lead to your joining us. Volunteers at London Bus Museum cover a very wide range of tasks and we are looking for most of the skills needed to operate a medium-sized business as well as a transport museum. We are an inclusive, friendly organisation and welcome young and old, male and female, working and retired. The trustees and officers are all volunteers themselves and we recognise the importance of looking after our ‘human resources’ and ensuring that all of them find fulfilment and enjoy themselves. 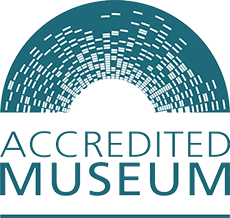 The Museum has strict rules to ensure that we operate to the highest safety standards and all volunteers will receive the necessary information and training to ensure that they understand the correct procedures for their work, the potential risks they may encounter and how those risks can be eliminated or mitigated. Now that we are in our fantastic new museum building, we are open to the public every day and the opportunities for volunteering have become even more wide-ranging and interesting. if you’d prefer to first have a chat about volunteering, make an enquiry with our Volunteer Co-ordinator here stating which activity(ies) you are interested in, what your phone number is and when it would be convenient to call you.